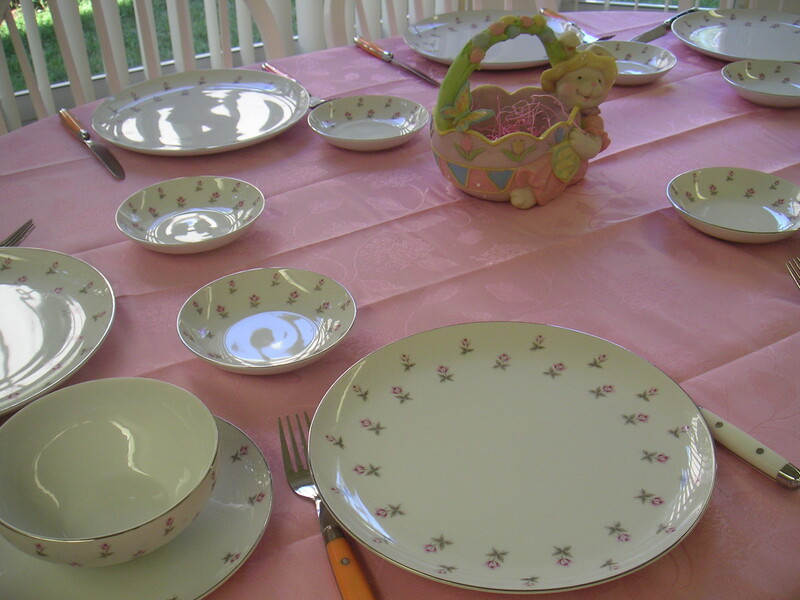 The table was perfectly set – pink tablecloth, my Grandmother’s fine china (white, with tiny pink rosebuds encircling each plate), pink peonies cascading from a low, round vase in the center of the table…a perfect setting for a lovely Easter dinner. I would bring out a steaming hot glazed ham on a large platter, and graciously receive the accolades my family would bestow upon me. 9:30 pm Saturday – Bunny cake is in the oven, so I move on and make the fruit salad, which is my husband’s favorite – a lovely blend of seasonal (meaning, canned) fruits. I safely stow it in the refrigerator, but when I put the lemon juice back, I realize it expired three years ago. What?! Lemon juice expires? Isn’t that one of those things that is just always there, always fresh, always ready? Well, we’re just going to see if anything happens. We are eating the fruit salad. 10:00 pm – Time to have some family fun making Jell-O eggs! Why are we doing this so late at night? I don’t remember!! There had to have been a reason, probably involving missing Easter egg hunt eggs or rogue chocolate bunnies. I start to read the directions – “8 ounce Jell-O? I have 3 ounce Jell-O! Why do they even make them in 3 and 8 ounce sizes? Why not 3 and 6, or 4 and 8?” Time for family fun time with fractions! 10:10 pm – Figure out how much water we need. Boil water in the pan (tick…tick….tick… don’t look, it won’t boil!). Then pour the water in a Pyrex bowl, which I had to clean first from making a cake, and add the Jell-O. Then my mom offers, “You know, you can just put the water in a big measuring cup in the microwave for two minutes and it will boil.” Start more water in the microwave. 10:12 pm – Rest head on countertop. Must clean countertop. 10:14 pm – Wait, how much longer do I have for the cakes in the oven? Check the timer on the micro… wait; I just cleared the timer on the microwave to boil water! Check cakes manually. 10:16 pm – Ask hubby to turn off the Ten Commandments, his favorite annual holiday movie, so the kids could make their Jell-O eggs and head to bed already! Realize (much) later that I prioritized Jell-O over Jesus – not good! 10:20 pm – (Yes, four minutes for the kids to pour Jell-O into molds – fun!) Leave cakes on stovetop to cool while I go to bed. Mention to my mom that it’s probably too warm for ants we were battling at that time to bother. I’m positive she makes a mental note not to have any bunny cake. 10:21 pm – Ants find cake. 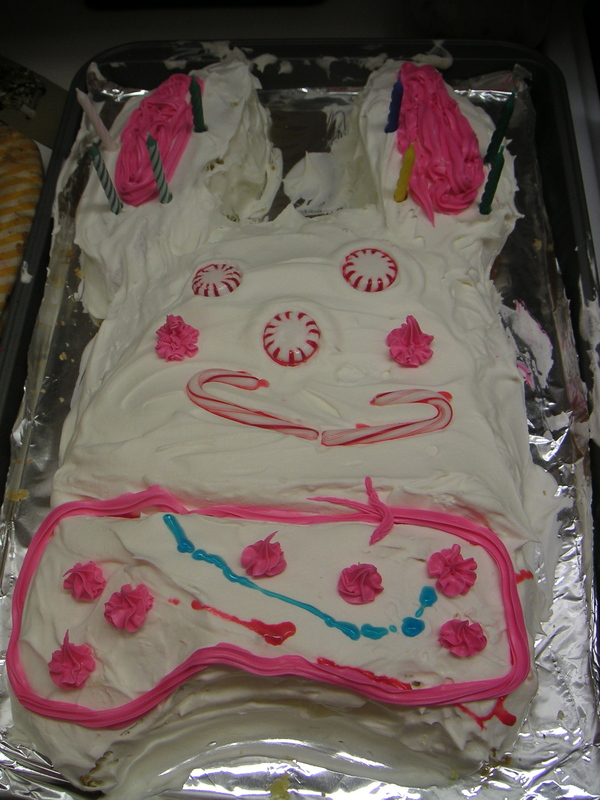 Bunny Cake – we weren’t going for perfection here! Sunday’s continued preparation evolved in much the same way, but mainly involved needing to put things in the oven at the same time, but at different temperatures. Sigh. For a completely opposite description of Easter preparations, including shopping and prep lists, please visit my friend Debbie’s blog post on Debbie’s Point of View. I need to invite myself over for Easter there one year! This year, however, we’ll be heading to my mother-in-law’s house, which means I will enjoy a lovely Easter brunch out. 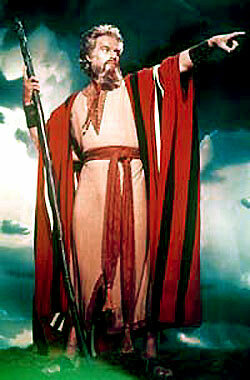 And this year I will not, under any circumstances, discourage anyone from watching the Ten Commandments!! Happy Easter- Christ is Risen! Lord, please help me to focus on and rest in the truth of our risen Savior during this Easter season. Take some time to talk about the true meaning and importance of Easter. Additionally, try making some Jell-O eggs and let me know how it goes!